Florin Road Partnership programs serve business and property owners located along the Florin Road corridor from Lindale Drive to Tamoshanter Way. 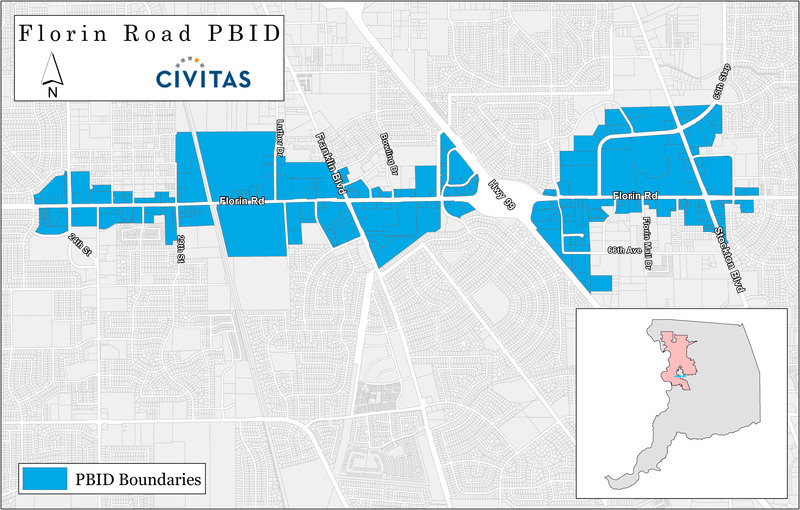 The boundaries include properties fronting Stockton Boulevard from above 65th Street to Requa Way; properties to the north and west of the Florin Mall along 65th Street; properties along East Parkway and Governor’s Circle bounded by Highway 99, Florin Road, and Morrison Creek; and properties on 55th Street fronting Highway 99 south of Florin Road. The district which spans approximately 24.1 million square feet and encompasses more than 215 property owners and well over 400 merchants.